Before we discuss the three important ways to run SEO outside of a website (off-page) and still be able to build a name for yourself and direct visitors traffic targeted to your website or product, I will mention a little about onsite and onpage SEO . On-site SEO is the work of writing optimized content, focusing on keywords and customer-centered and this includes the work of writing optimized titles and meta descriptions. Of course all these things will be asked of you if you want Google and other major search engines to pay attention to your online profile, but you can also do this by running off-page SEO to achieve the same goals as on-site. On-page search engine optimization is definitely one of the main methods available if you want to increase the visibility of your website. However, on-page SEO often requires technical capabilities. Why? Because not many people like HTML, while this is what is needed to be able to do the job optimally in optimizing website pages. Sure, WordPress has plugins that you can use to optimize search engines like Yoast and All In One SEO (my favorite) but you still need experience in writing headlines, other titles and meta tags that focus on keywords. What if a friend has done on-page optimization and now you want to know how you can contribute to the popularity and goodness of your website? Off-page optimization is the next step, and the results that you will crave are one-way backlinks. Why? Because this means how big the major search engines like Google, Yahoo! and MSN ranks the website. 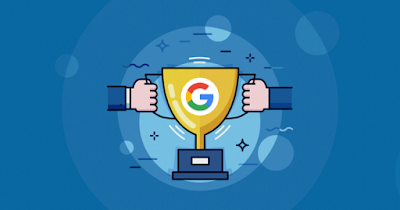 The more backlinks from high-authority websites and the good ratings, the better the results will be. So how do you actually collect backlinks? It's not an easy job but it certainly doesn't really make you headache than having to deal with HTML, especially if you're not a techno junkie. Quality content is king. Everyone is thirsty for fresh and quality information and giving it will make backlinks flow. Being a keen writer is very helpful in this effort. Also practice the right way to use the resource box, which is a box that should only include websites that contain information relevant to the article you submit to the article directory. Find out which forums are relevant to the content of your website and keep sharing information that will be needed by forum members. The message traces that are your trademark or the messages included at the end of each of your posts will benefit your off-page SEO campaign. Make it as simple as possible and make sure the message conveys something about your website, preferably a link that searches your best phrases or keywords and makes the link invites people to the pages of your website that are most relevant to the keywords you choose. Learn how to do hyperlinks to make it easier for people who want to visit your site. 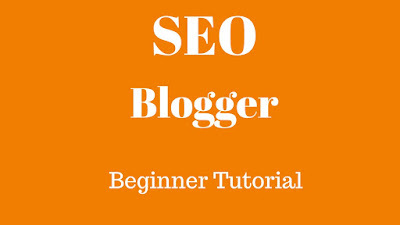 Blog or 'weblog' is currently the most popular weapon for SEO experts. In addition to being easy to update, blogs do not require a style of writing that is too formal, and that's precisely what readers like. Informal dialogue that can be done through the comments left by the reader and the blog author's answers in these comments will keep the blog fresh and friendly to search engines. Keeping your blog relevant to your website's content will make search engines connect to your site. Don't forget to enter your main website link on the blog and there are at least three links per blog post to the various internal pages of your website. IMPORTANT: When you publish content, always, always, and always link back to your website's internal pages and not just to the main page. Believe me, it's very influential! The secret of successfully running these off-page SEO methods is consistent. Entering quality articles on the website at least two or three times a week and writing content regularly to your personal blog is a great way to make your website stand out. Participating in forums is also something that has to be done more often because this will not only help increase the popularity of your website with search engines but also make you learn new things from the participation of other forum members. Now, if you find that you don't enjoy these time-consuming jobs, there is always a second plan - hire someone to do it for you!